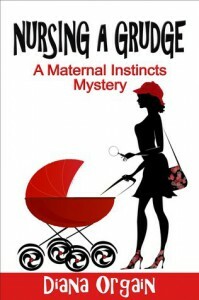 Kate Connelly, a new mother and a private investigator in training, gets a mysterious case from a friend. This only being her 4th case and she is still learning with the help of an official P.I./ ex-cop. As she looks for a killer she has to watch her step or she will be the next in a growing pile of bodies. This series by author Diana Orgain is the first cozy mysteries I have ever read. I did not even know cozy mysterious were exactly what they were called but yet cozy was what I immediately felt with them. This is a book you just want to curl up with some tea or cocoa and read until there is no tomorrow. The characters well defined. I never get confused at who is who, like other mysteries I have read and I am always cheering for the good guys. There is not much wrong with the series or this book. One thing I was not happy about was that our apprentice in investigating reacted as if this were her first case and not 4th. There were things I swear she had done in previous books but she seemed to have forgotten. I love the series. I hope it continues and I have found other mysteries written by Mrs. Orgain that I hope to get too soon.